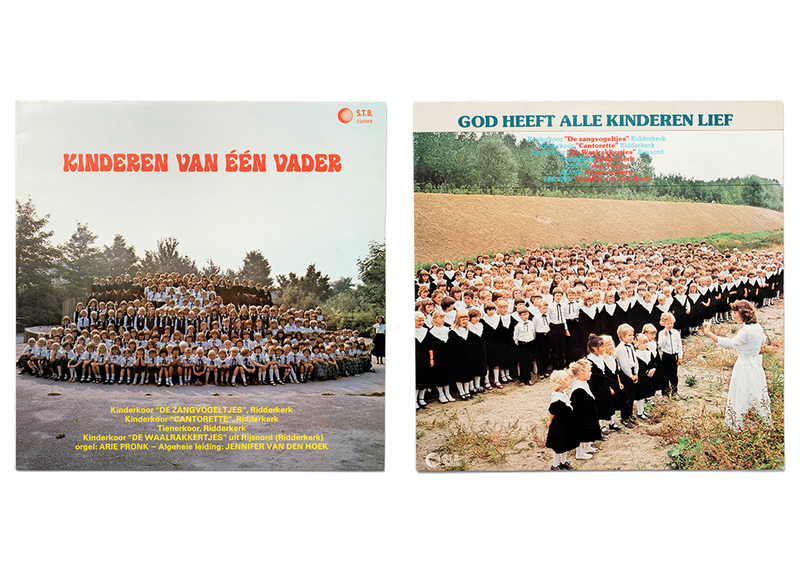 ‘Group Show’ is a project and installation that shows an extensive collection of ‘vernacular’ vinyl records with large groups of people on the cover. 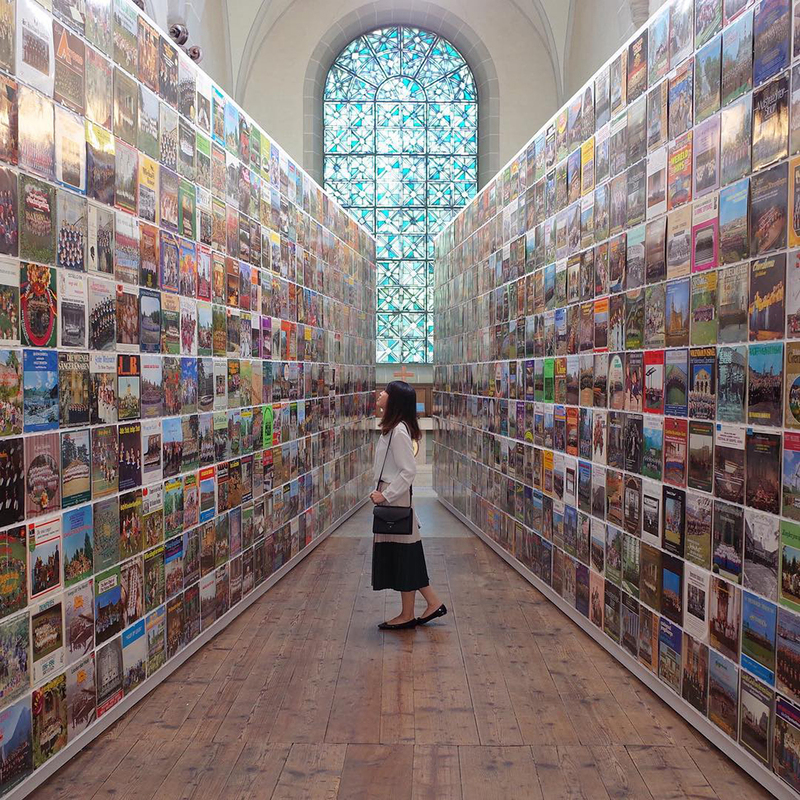 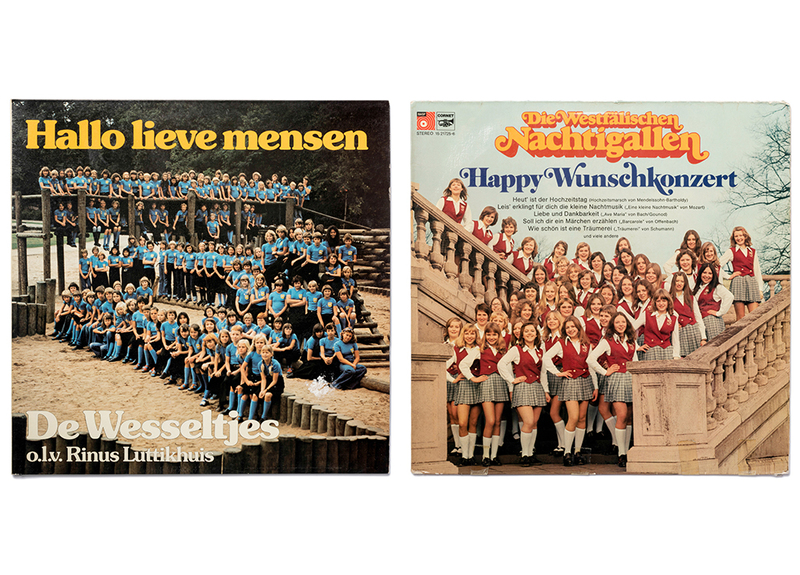 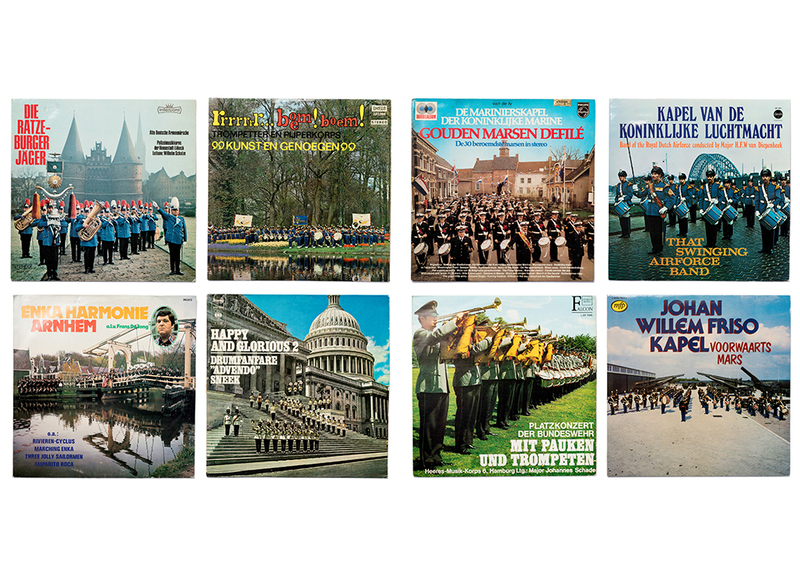 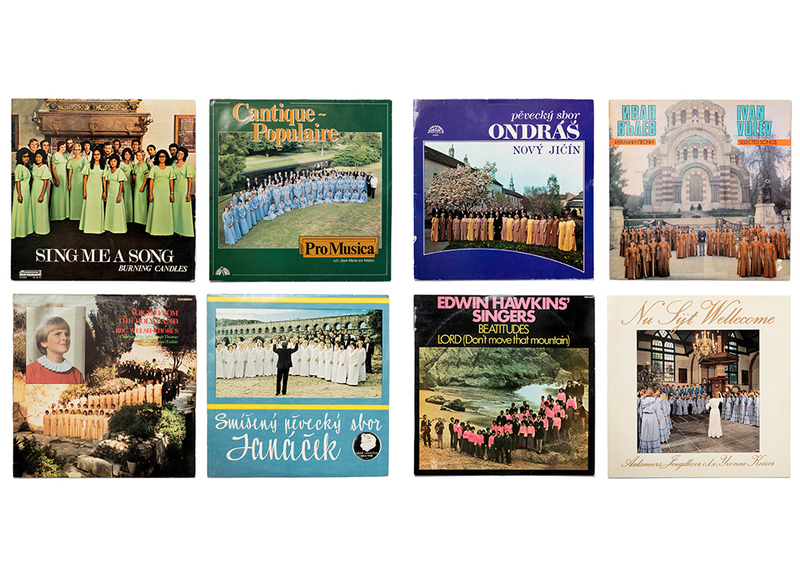 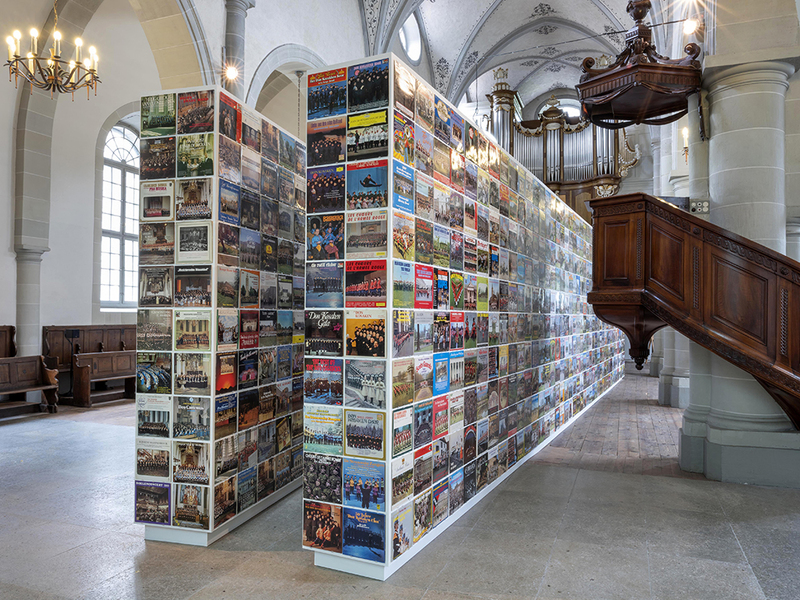 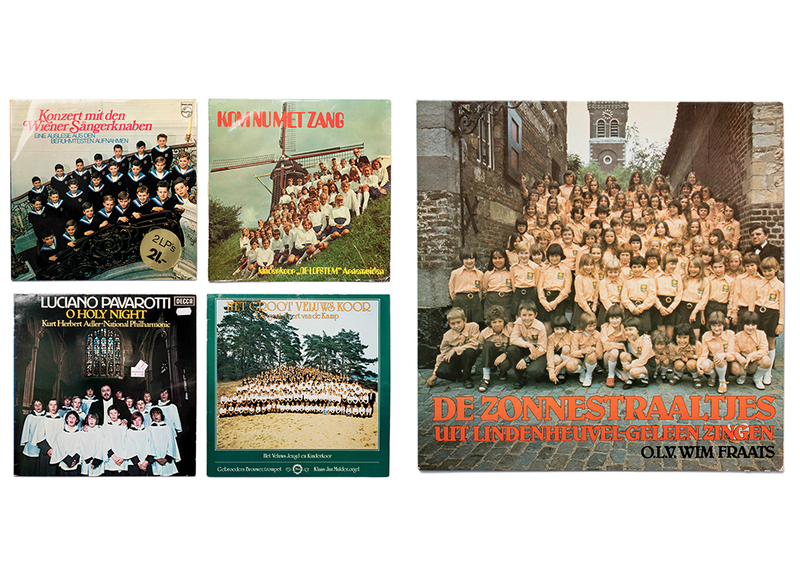 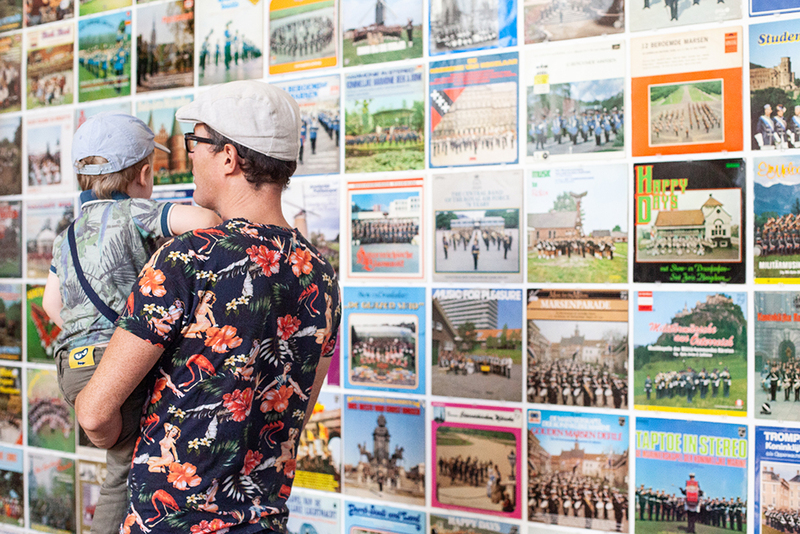 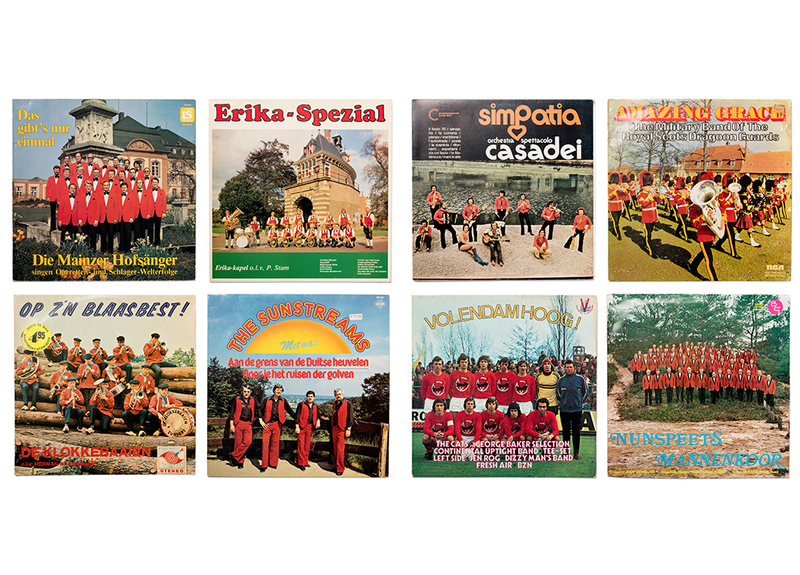 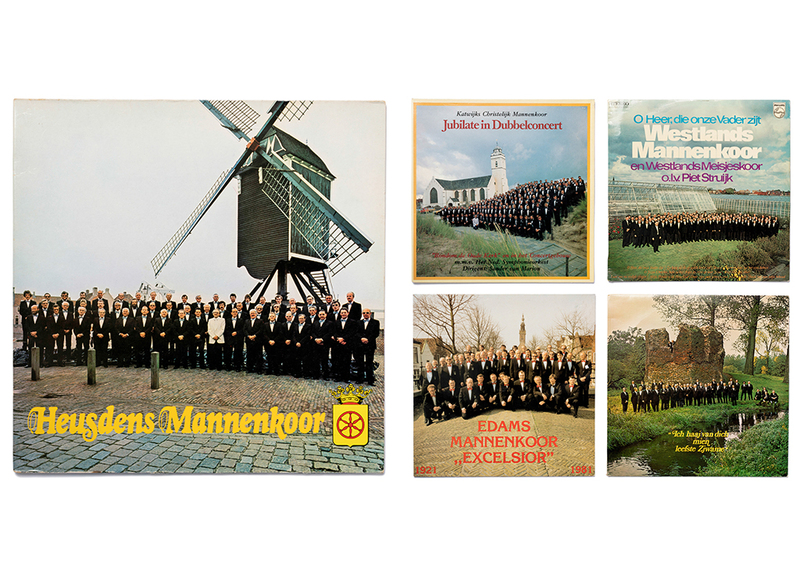 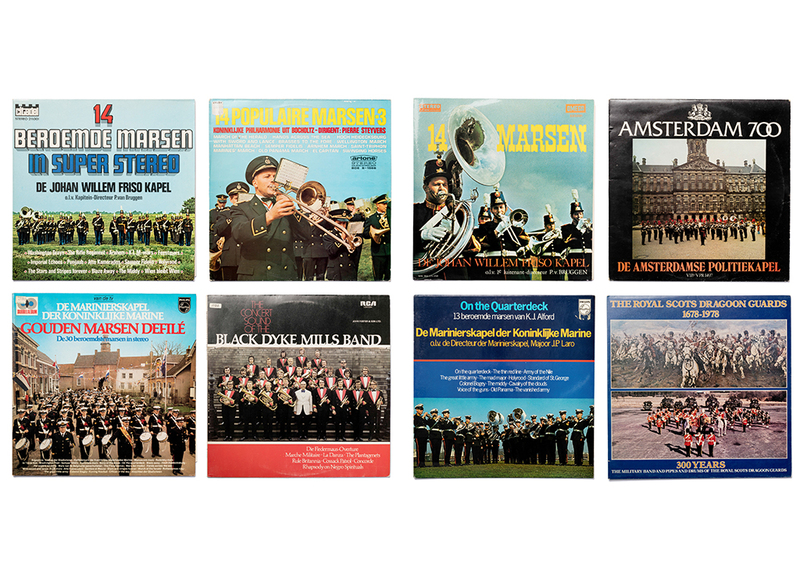 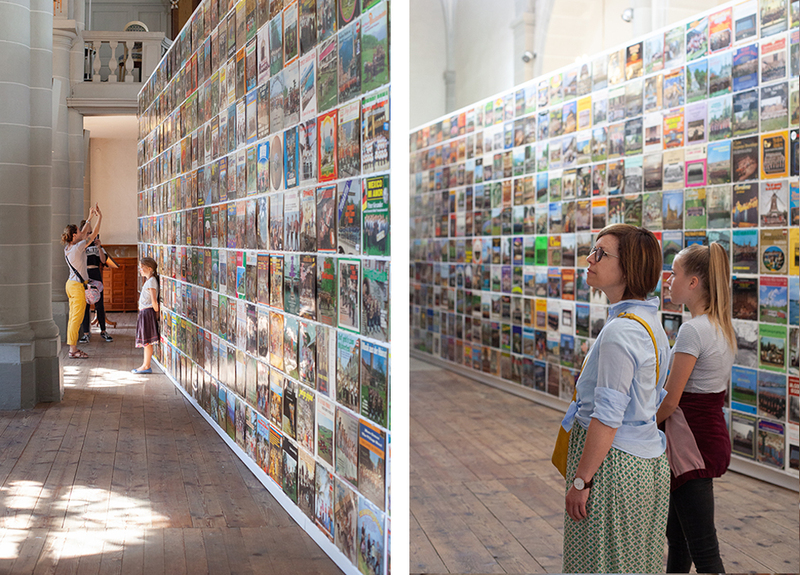 The awkward impossibility of photographing these choirs, regional ensembles and folklore bands and the typology of photographs that has comes out of it are a longtime fascination for Erik Kessels. 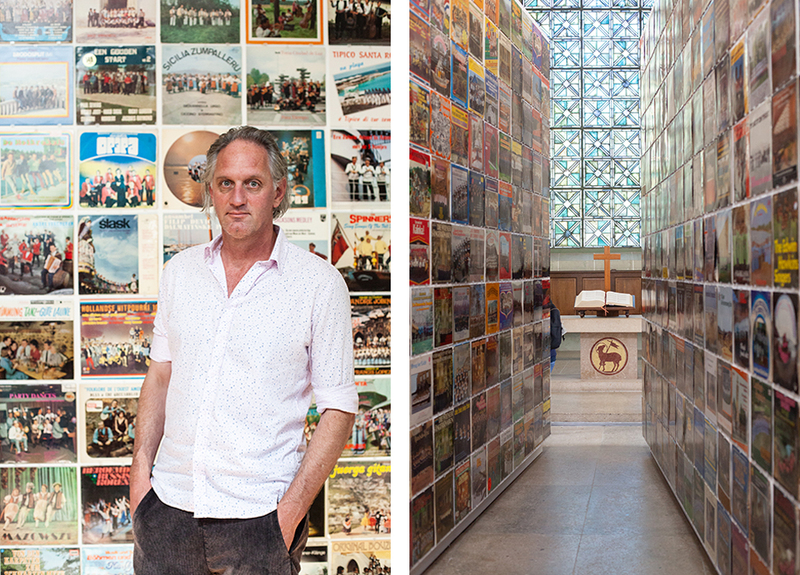 It even made him create a multi-media project out of this. 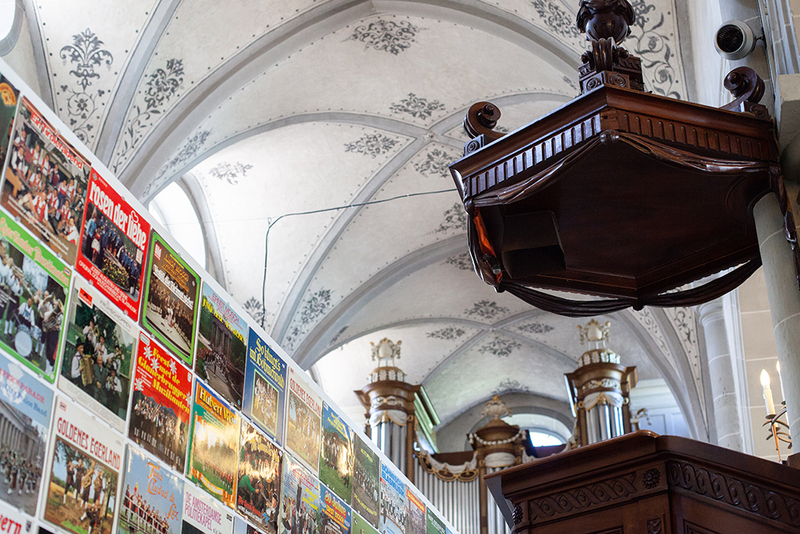 The enormous volume of records resulted in an eclectic soundtrack and an impressive installation that is a combination of the two. 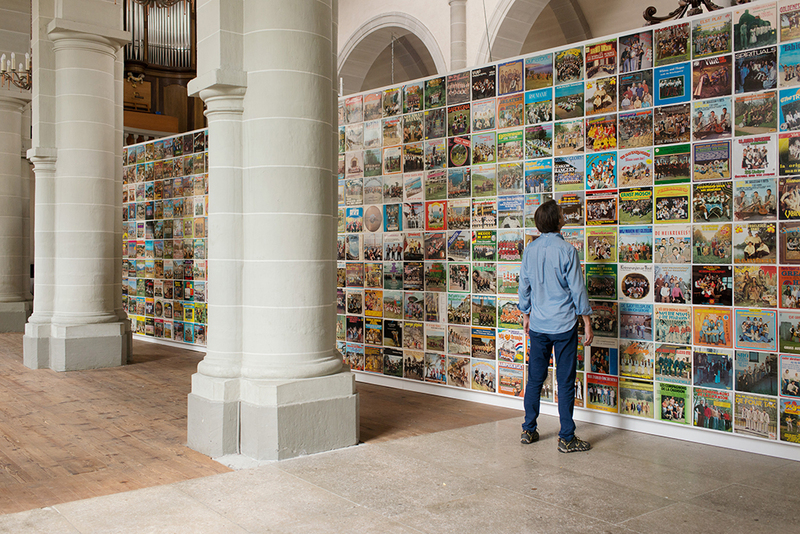 The work is a representation of the renaissance of imagery we live in nowadays and the clutter of impulses and information that flood us on a daily basis. 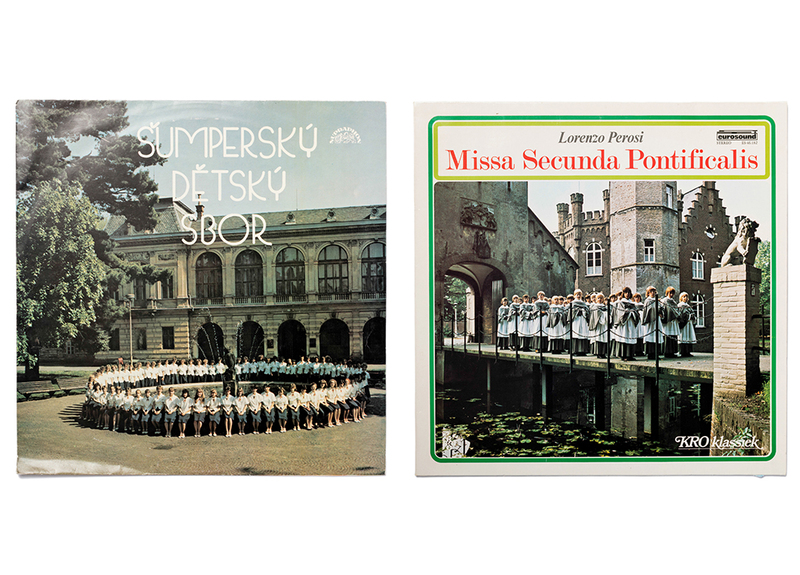 It’s also a celebration of like-minded beings that find each other in their shared musical passion. 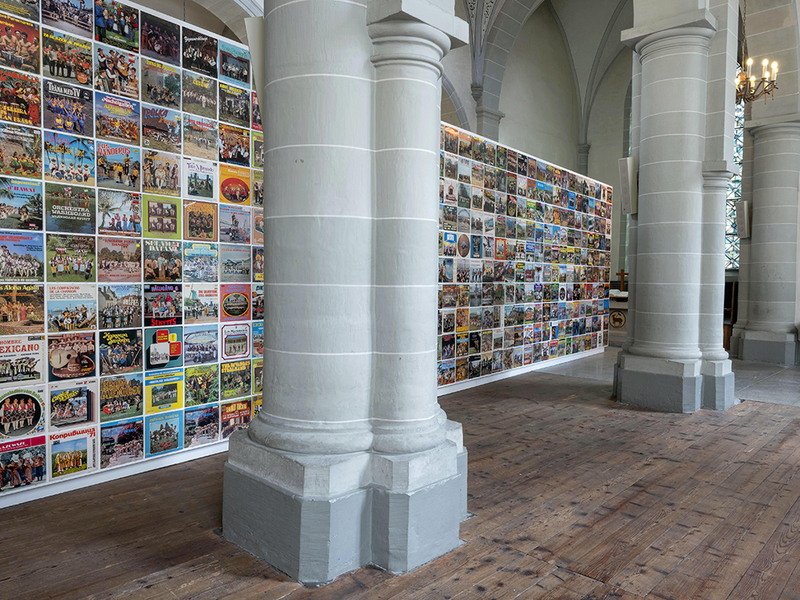 Last month, Group Show premiered in Saint-Claire Church in Vevey, Switzerland.